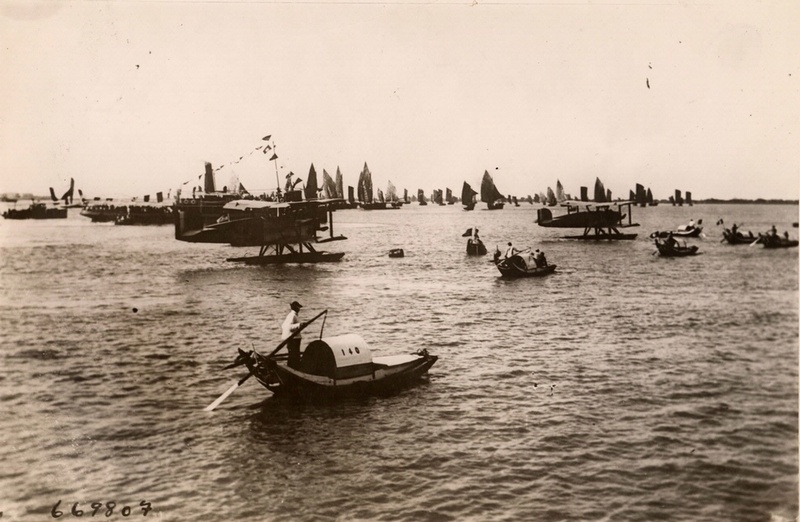 Shanghai, China, was a frenzy of junks and other small vessels that made flight operations dangerous. Two of the World Cruisers anchored in the chaotic harbor of Shanghai, China. The frenzy of junks and other small vessels endangered the airplanes and made takeoffs and landings dangerous. National Air and Space Museum, Smithsonian Institution (SI 83-364).